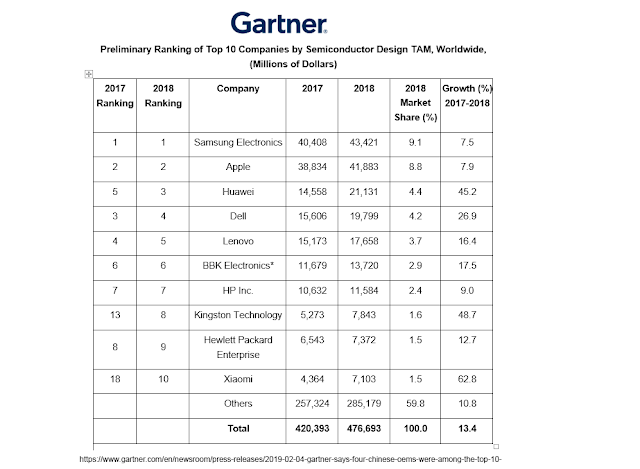 Samsung Electronics and Apple were once again the top two semiconductor chip buyers in 2018, according to a new report from Gartner, and together represent 17.9 percent of the total worldwide market. Buying by Samsung and Apple slowed in 2018 but spending by Huawei accelerated, pushing it to number 3 amongst semiconductor purchasers. Xiaomi rose eight places to the 10th position, increasing its semiconductor spending by $2.7 billion in 2018, a 63 percent growth year over year. 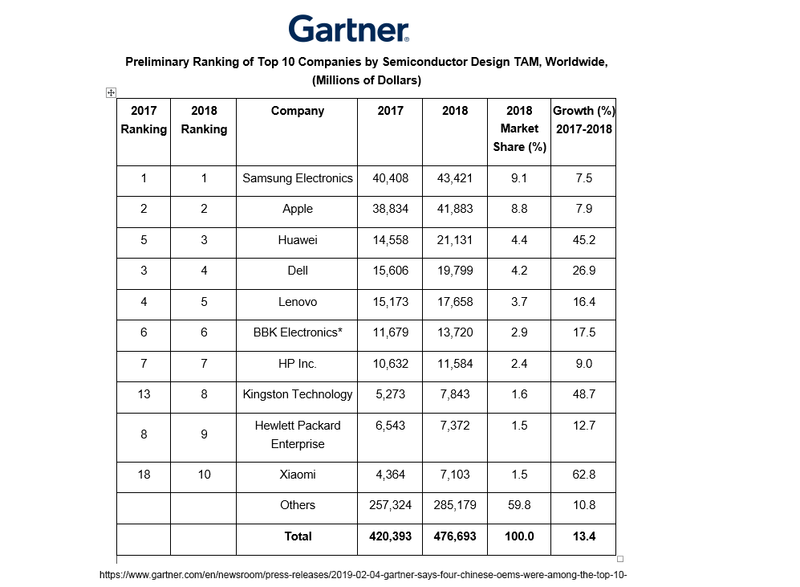 Semiconductor spending by the top 10 OEMs increased significantly, and their share reached 40.2 percent of the total semiconductor market in 2018, up from 39.4 percent in 2017. Gartner predicts that the share of total memory chip revenue in the total semiconductor market will be 33 percent in 2019 and 34 percent in 2020, higher than its 31 percent share in 2017.